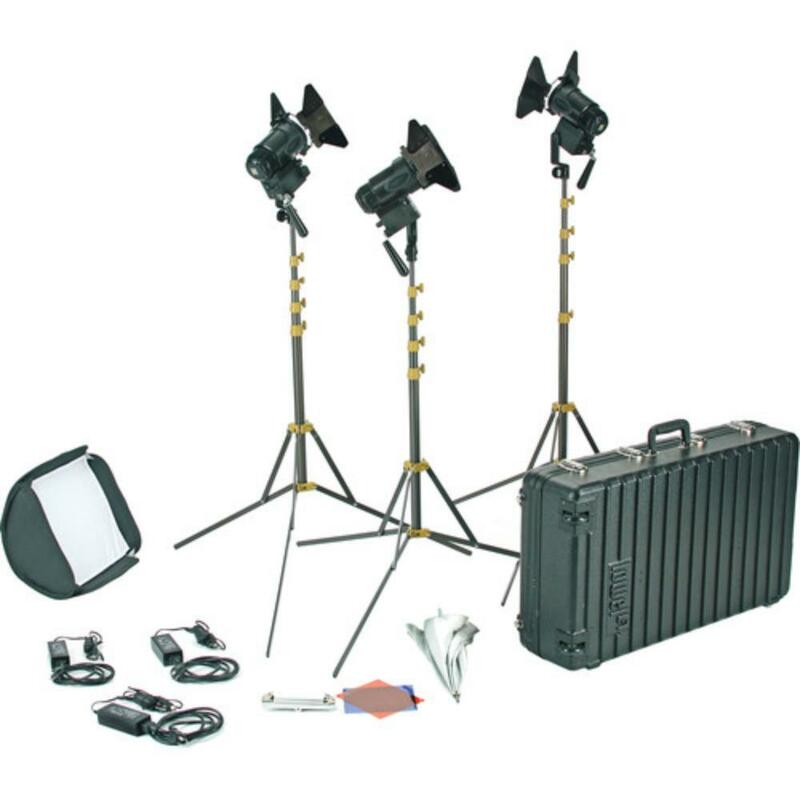 The Lowel Pro Power Daylight LED Kit is a complete continuous lighting kit suitable for both still and video production. LED lighting is cool to the touch and lightweight. These lights have a 1:8 flood to spot ratio and a beam angle of 43-10º. 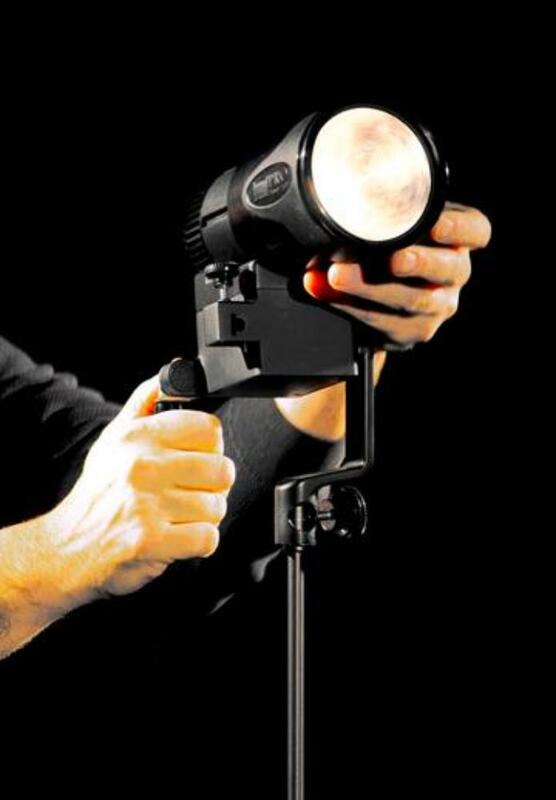 The lights can be dimmed, are flickr-free, suppress color shifting, and come with a variety of modifiers - an umbrella, a small softbox, barndoors, and gels with frames. These lights work well for documentary lighting, narrative film lighting, lower-key product lighting, and replicating window light. • This light kit is powered by AC power cables only unless you rental portable Lowel batteries.